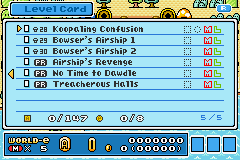 Super Mario Advance 4 e-Reader Edition Released! No, not Nintendo’s official version (though that’s been released recently as well, and looks amazing), but a fan made ROM hack which makes the same functionality available for free! 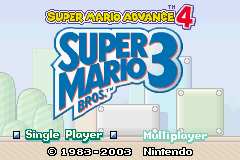 Basically, some smart people over at GBATemp have taken a look at the Virtual Console version of the game, extracted the changes from the ROM and made them available as part of a patch for a Super Mario Advance 4 ROM. In other words, you can play the exact same game as from the eShop (complete with e-Reader functionality and UI) by patching this mod to a normal ROM of the original game. Either way, it’s pretty obvious that Nintendo won’t be too happy about this one. Especially given that it’s a method to basically make a brand ‘new’ Virtual Console release available for free to anyone who can find a copy of the original game. What do you think about this mod?